was born in Amsterdam in 1954. His father was a professional pianist and organist, and Hans grew up in the world of classical and religious music. During his study at the Conservatory of Utrecht, Hans acquired an intimate knowledge of and feeling for the piano. 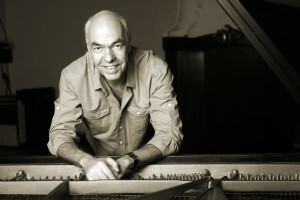 Hans was trained by the best piano technician, Steinway specialist Berry Vermeulen.Joining the excellent Dutch Vermeulen company, Hans performed his tuning magic for the Conservatories in Utrecht and Hilversum, for the Philips Phonogram Studios, and for the Dutch Royal Family at Soestdijk Palace. From 1985 to 1988, Hans lived in the south of France. Because of his craftsmanship, he was asked to take care of piano’s for festivals and concerts every Summer. During that period he was the favorite piano tuner for some famous pianists. See list Concert Service. Returning to the Netherlands, Hans was the preferred tuner for various Brabant concert halls and many national and international celebrities, see list Concert Service. In 1988 for the first time in history the International Steinway Competition took place beyond the German borders. Hans had complete responsibility for the care of the two Steinway grand pianos that were intensively used at the event. Because his interest constantly went to concert service, in 1990 Hans applied for the position of concert technician at the West Deutsche Rundfunk (WDR) in Cologne. From over one hundred candidates, Hans and a German colleague were chosen. So soon after the ‘Hereinigung’, however, nationality was ultimately the deciding factor. Six months later, he became international concert tuner at Pianomobil from Antwerp. In the Netherlands, Belgium, Germany, France and Spain he accompanied pianists of world renown, both for individual concerts, festivals and during tours. (See list Concert Service). In this way he experienced the diversity of acoustics in the major European concert halls. During a tour the same concert grand was used. This gave him the rare opportunity to become expert in the field of acoustics. In particular, the impact of acoustics on tone and mood of the concert grand. Nowadays Hans works mainly for professional musicians and music-loving individuals.